Every Thursday from 6 p.m. – 9 p.m. on the Waterfront. N. and S. Clematis St. between Narcissus Ave. and Flagler Dr. and Narcissus Ave. between Banyan Blvd. 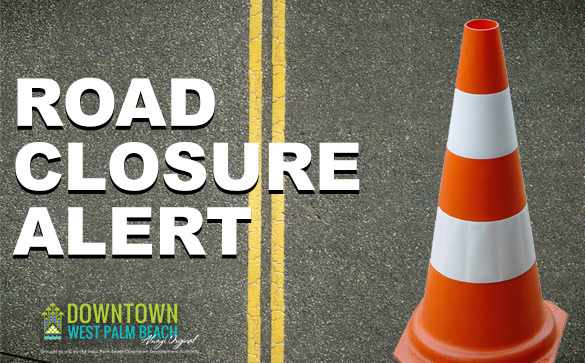 and Clematis St. will be closed from 6 p.m. – 9 p.m.
For more road closures in the City of West Palm Beach, Click Here.